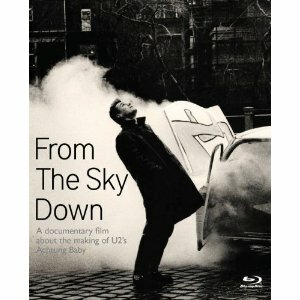 WorldMovieStore - U2 From The Sky Down Sinopsis. From The Sky Down, is a documentary film directed by Academy Award winning director Davis Guggenheim (It Might Get Loud, Waiting for Superman, An Inconvenient Truth). Screened in the UK as part of the BBC's Imagine Series, From The Sky Down was the first ever documentary film to open the prestigious Toronto International Film Festival. Twenty years after the release of U2's Achtung Baby (1991), Davis Guggenheim charts the path toward this groundbreaking album. Read More Sinopsis. 0 Response to "Blu-ray Release U2 From The Sky Down"